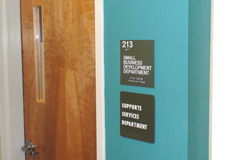 The Small Business Development Department (SBDD) is the largest of the six (6) departments within the Division of Economic Development (DED) of the Navajo Nation. 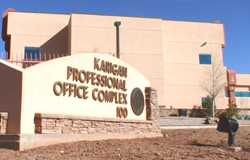 The Small Business Development Department includes a central administrative office located in St. Michaels, Arizona and seven (7) Regional Business Development Offices (RBDOs) located throughout the Navajo Nation. 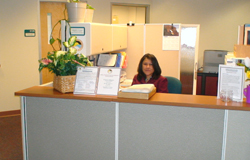 Thank you for visiting the Small Business Development Department on our Navajo Business website. Our department is dedicated to expanding economic development on the Navajo Nation. 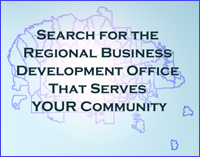 Please contact one of the seven Regional Business Development Offices to see how we are able to assist you in growing your business. The long-term goal of the Small Business Development Department envisions a self-sufficient Navajo economy, which includes a viable small business sector, where there are numerous financially healthy small businesses providing goods and services at the local level. Small businesses will be the backbone of the Navajo economy, providing employment opportunities and generating personal wealth, all in harmony with the natural beauty and unique culture that exists within the Navajo Nation. The mission of the Small Business Development Department is to provide services at the local level that promote, develop and support the small business sector of the Navajo Nation economy. The services, provided to a broad range of clientele, include technical assistance with local community planning, land withdrawals and clearances, business site leasing, site development, business plan development, loans, micro-loans, training and leadership through the approval processes. The ultimate mission is to help the Navajo Nation reach the long-term goals as outlined in the vision statement.